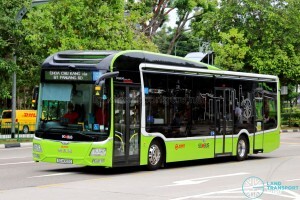 On 25 April 2019, LTA awarded a contract for the Procurement of 3-Door Euro 6 Double Deck Diesel Buses (Contract Ref. PT342) to 2 different tenderers. Each tenderer will deliver 50 buses each. 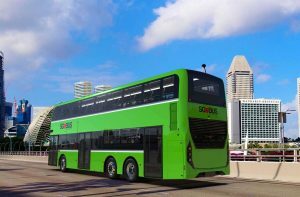 The 100 Three-Door Euro 6 Double Decker Buses enter revenue service from 2020. Details regarding the depot and bus service allocation for the buses will be announced closer to the implementation date. 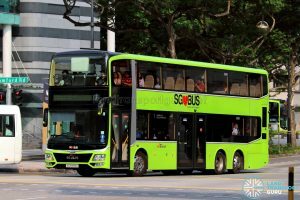 Tender PT342 for Procurement of 3-Door Euro 6 Double Deck Diesel Buses was put up by the Land Transport Authority (LTA) on 15 May 2018. As part of the tender, 100 buses will be procured. 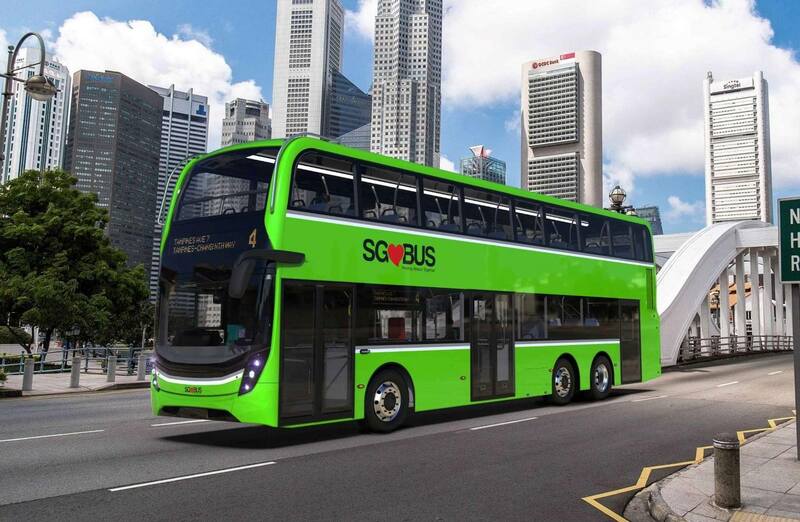 Similar to the previous tender of Euro 6 Double Deck buses released in December 2017, these new buses are Euro 6 (or Euro VI)-compliant, representing the latest in emission standards which came into effect since 1 January 2018 for all new diesel vehicles registered in Singapore. 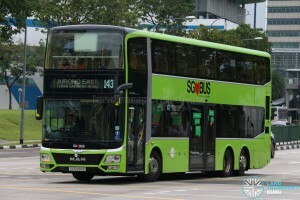 Similar to the ADL Enviro500 Mock-Up Bus exhibited in 2016, the 3-door double-deck bus will have one entrance and two exit doors. The rearmost exit door will be behind the rear axle. 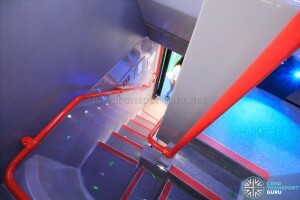 In addition, the bus will have two staircases and built in a fully-low-floor design. The bus is limited to a maximum length of 12.5 metres. New requirements imposed by the LTA for new buses include an enhanced Passenger Information Display System (PIDS) comprising LED text displays, LCD display screens and interior speakers. In addition, an exterior-facing display screen and an external speaker is included. An Advanced Driver Assistance System (ADAS), driver anti-fatigue detection system, high-definition CCTV cameras, and passenger counters at entrance and exit doors of the bus are among the additional specifications required by LTA. 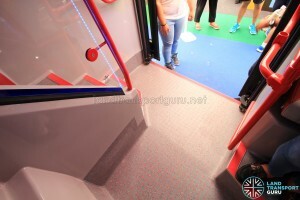 The buses will also be equipped with 2 wheelchair bays. 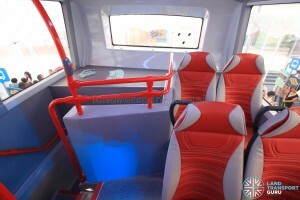 The Diesel-Hybrid buses (Volvo 7900 Hybrid), conventional Euro 6 Double Deck Diesel buses and Electric buses will also feature 2 wheelchair bays. Prior to this tender, European bus manufacturers typically made fully-low-floor chassis for the left-hand-drive (LHD) market, such as in Europe where similar 3-door, fully-low-floor buses are operated. 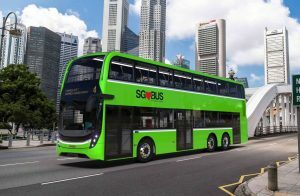 Given that the tender called for a right-hand-drive (RHD), full-low-floor diesel bus with a third door at the rear overhang, it would be a challenge for bus manufacturers to modify their existing designs to deliver this (relatively) small batch of buses to LTA in the most economical way. The second staircase at the rear will likely be of a spiral design to conserve seating space on the upper deck, much like the ADL Enviro500 Mock-Up Bus. 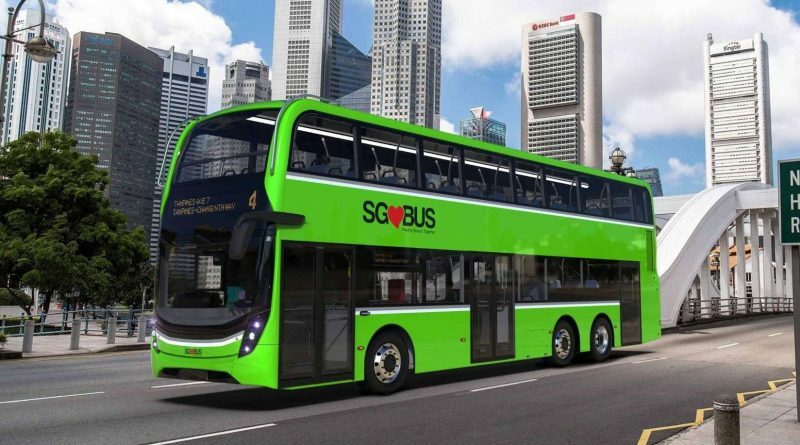 It is believed that feedback from the revenue service trial of the MAN Lion’s City DD L Concept Bus (SG5999Z) was unfavourable with regards to the safety of the front-facing rear staircase, which put passengers at risk of falling forwards when the bus had to brake suddenly. A retractable barrier was retrofitted after its debut, which prevents upper deck commuters from accessing the rear staircase when the bus is in motion, and only opens when the bus is at a stop. 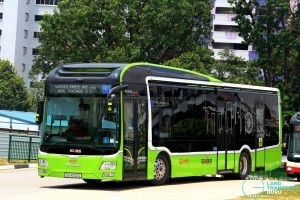 Previous three-door bus trials included the MAN Lion’s City DD L Concept Bus with Tower Transit (on Bus Service 143), the MAN Lion’s City SD 3-Door trial with SMRT Buses (on Bus Service 190 & 901), as well as the Alexander Dennis Enviro500 Concept Bus Mock Up featured during the Our Bus Journey Bus Carnival in 2016. Currently, the MAN Lion’s City DD L Bus is operated by SBS Transit on Bus Service 7. 3-door MAN Lion’s City DD (SG5999Z) – Service 7. The steerable tag axle is evident as the bus navigates corners. Hi! 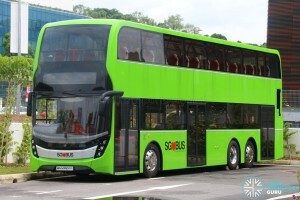 I think they should not just order single or double decker buses with 3 doors but more articulated with 4 doors. And better…… Double-articulated as to upgrade the seating capacity.